The title of this post has been sitting in my drafts since 2015. Why has it taken so long to write? What is the hesitation? I guess I feared judgement. Or maybe I didn't think it's such a big deal. Considering how long it has been sitting in my drafts and my brain, I think it's something that does need mentioning and talking about. 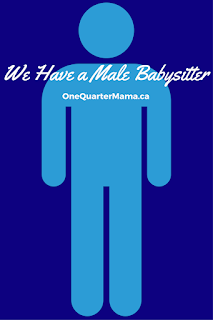 So here goes: we have a male babysitter. I shouldn't have to qualify it that way though. Like "manbun," men can have buns. The hair style is not the sole domain of women. Nor should the title of "babysitter" be automatically feminine. So let's try again: we have a babysitter, who happens to be male. In fact, we're on our second one. Why not? Perhaps it's not all that common, but it works for us. I think the next generations are going to be a lot more egalitarian. The fact is, both my boys have gravitated to males. In my household, I am outnumbered. Even our pet rabbit is male. My eldest son was thrilled to find out his camp shadow this year is male. But let's address the elephant in the room: Abuse. Yes, pedophiles are more likely to be male than female. (They're also more likely to be left-handed...should left-handed people scare you? I'm a leftie!) However, I do think both males and females are equally likely to abuse people in general (physical, emotional). Having grown up with an abusive mother I can attest that women are just as damaging, but are better at hiding their abuse perhaps. 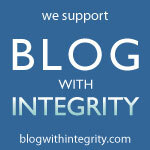 Either way, we vet the people who care for our children thoroughly, and also go by our gut instincts. Male or female, we ask for First Aid/CPR certification, background checks, references, non-smoking, and no drugs or alcohol when you show up to work. Both our (male) babysitters came highly recommended by other families and/or their work. In the end, I want my kids to have fun and be well-cared for. The gender of the person is irrelevant. I know we are in the minority and I think that's why I hesitated writing this. I think, however, as my sons grow up, if they need aides for daily living tasks, they will still probably opt for a male. I don't know, but I think for myself, if I'm going to need help bathing or toileting, I would probably prefer a female rather than a male. I prefer a female masseuse. I have no preference for doctors, though mine are currently male. It comes down to individual preference I guess, and right now my kids are squarely in the man's-man territory. 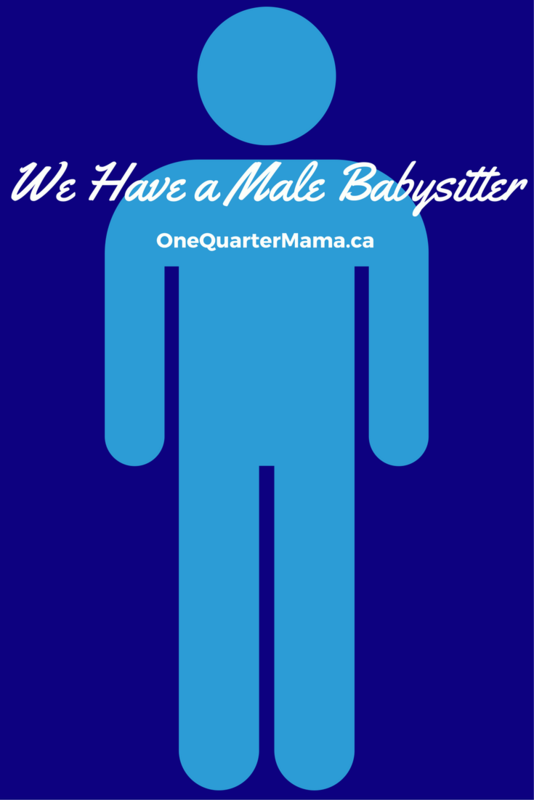 Would you, or have you, hired a babysitter or caretaker who was male?